Most often wood blocks are slotted to accept and show off a collection of fine cutlery. 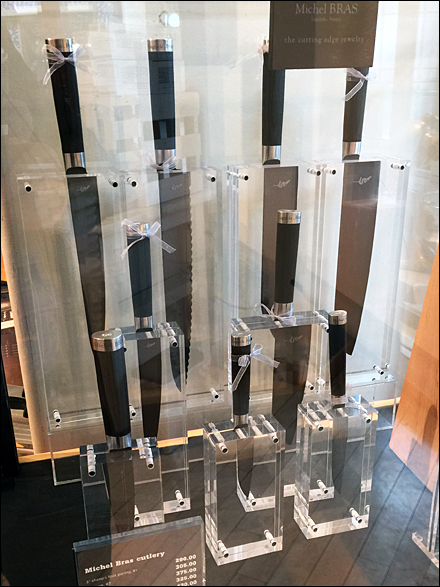 Here see a Acrylic Block Display of Knife Selection that allows blade and handle to be seen equally well. Massive thickness and industrial-strength fastening convey a quality and high-strength feel. 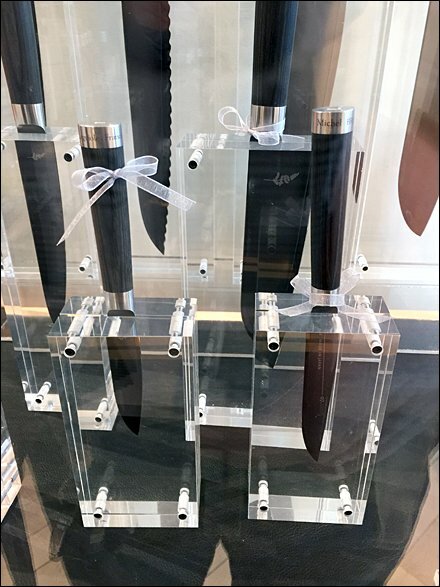 See the Acrylic Block Display of Knife Selection thumbnail for an overall view. Scroll down for more cutlery coverage here on FixturesCloseUp. For Acrylic posts by Title see..